After Danice and James' gorgeous wedding at the Grand Palladium in Jamaica we took a few hours to do a super-fun tropical Trash the Dress session. 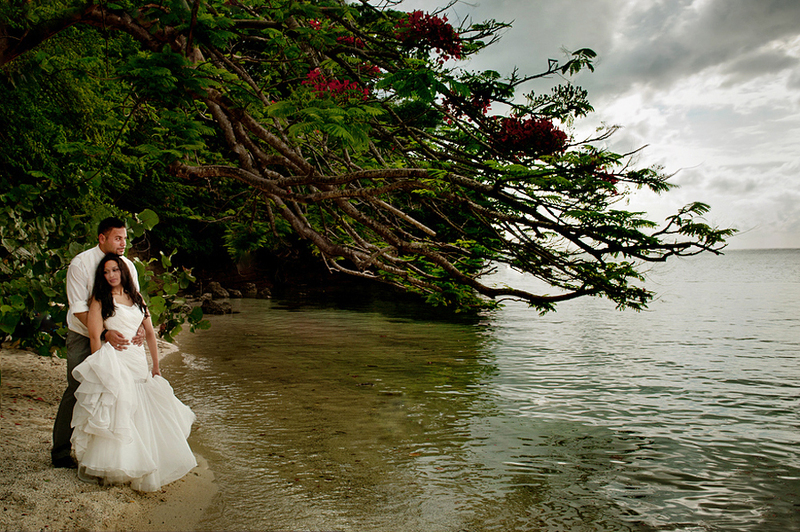 I always think "trash the dress" is a huge misnomer: unless you're dousing it with paint or torching it, a little sea and sand won't hurt it at all, especially when you can hang it on a Carribean balcony overnight to catch some air. Danice and James were such a delight to shoot!